Glass Nation is super proud to have a selection of Chadd Lacy Whale Art including the Chadd Lacy Whale Bongs & Whale Rigs. Each of his heady whale bongs are unique and one of a kind functional glass art by Chadd Lacy. Chad Lacy makes the best whimsical bongs and rigs online. 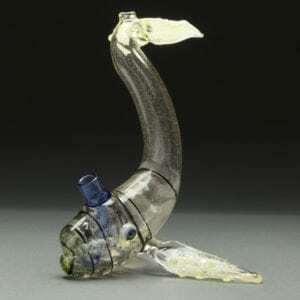 Apart from whale art Chad Lacy also makes cannon ball bongs & cannon ball dab rigs. They are super cute and come with a cannon ball stack directional carb cap too. 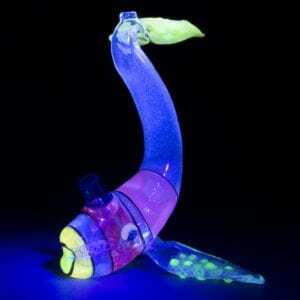 Chadd Lacy Whale Bongs & Whale Rigs are some of the coolest glass art bongs online that you can buy. Lacy doesn’t cut any corners when he is crafting his one of a kind heady whale bongs. This is one American glass artist you will defiantly want to add to your heady art collection. Thank you for viewing our heady art gallery.